The iPad presentation worked almost perfectly using the iPod as the control. Trying to use the iPod and a laser pointer at the same time did not work as I needed a third hand. I had to resort to pointing with one hand at the screen. There was one point after maybe 100 slides where the next slide refused to work. I advanced the slide on the iPad and was able to regain control and show the rest of the slides using the iPod. 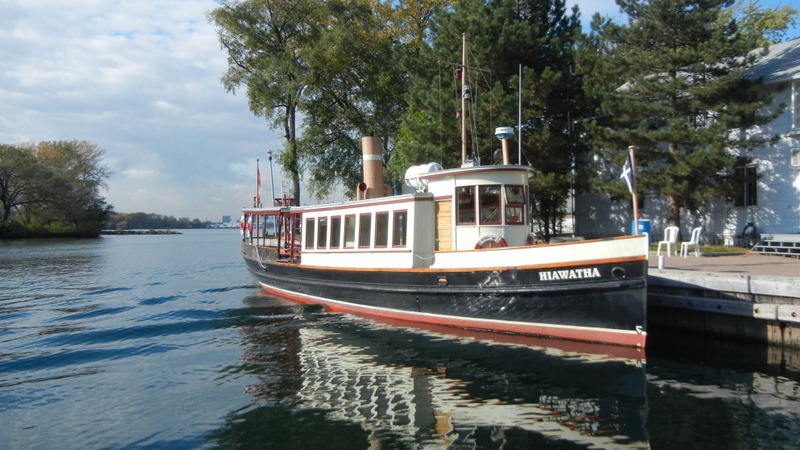 On Friday I rode out to the Club on three Toronto Islands with RCYC member Jim, in the club ferry boat, Hiawatha. This originally steam powered boat was built in 1895 and has been restored continuously since then. It was the new ferry in 1895 as the club was started in its current location in 1852. 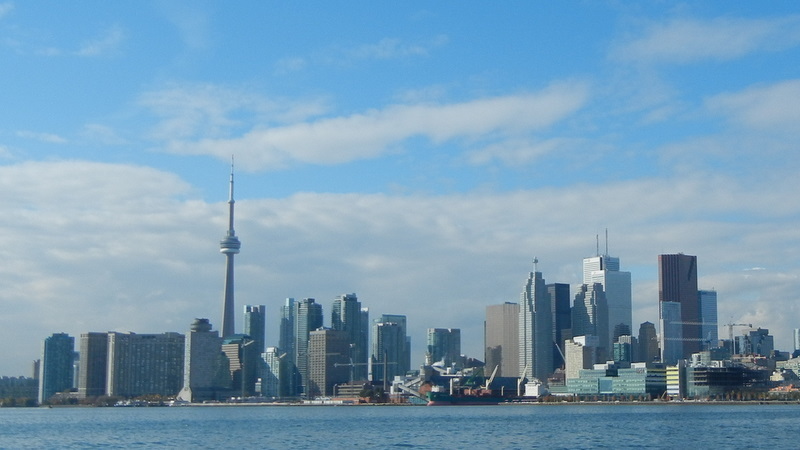 The club is vast with over 3,000 members and docks for 500 boats. It is 99% sailboats with only a few powerboats. The club trains and supports the Canadian Olympic sailors. Some members take their boats south to Newport for racing. One member we talked to on the ferry, had just brought his 40ft+ Beneteau up from Newport RI. While on the Erie Canal hurricane Irene shut the canal down. 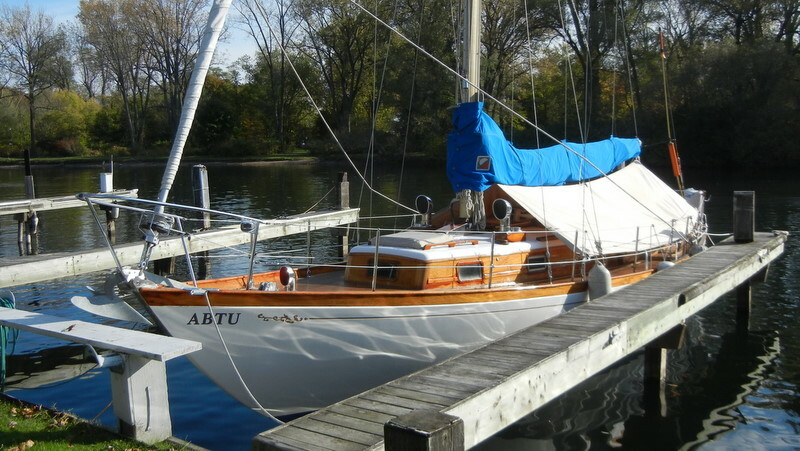 He had the boat shipped by truck to Rochester and then sailed it across Lake Ontario to the club. We walked around and observed the activity hauling boats out of the water for winter storage. I remember those days well at the Brockville Yacht Club. The big difference at RCYC is they have staff to do all the work you need done. Most members with boats have lockers to store their stuff on the island. Some lockers are even equipped with refrigerators and microwave ovens just like we do in the south on our covered docks. 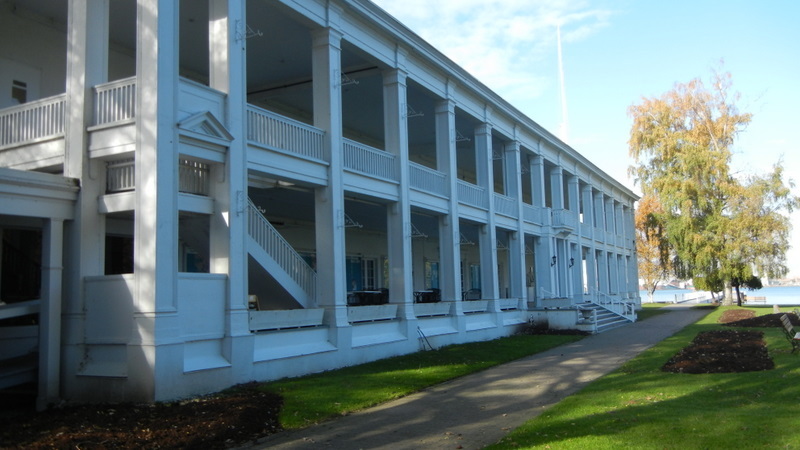 The main building with its dining rooms and bars was closed for the season.